you like pretty place settings even when it's an improvised meal. 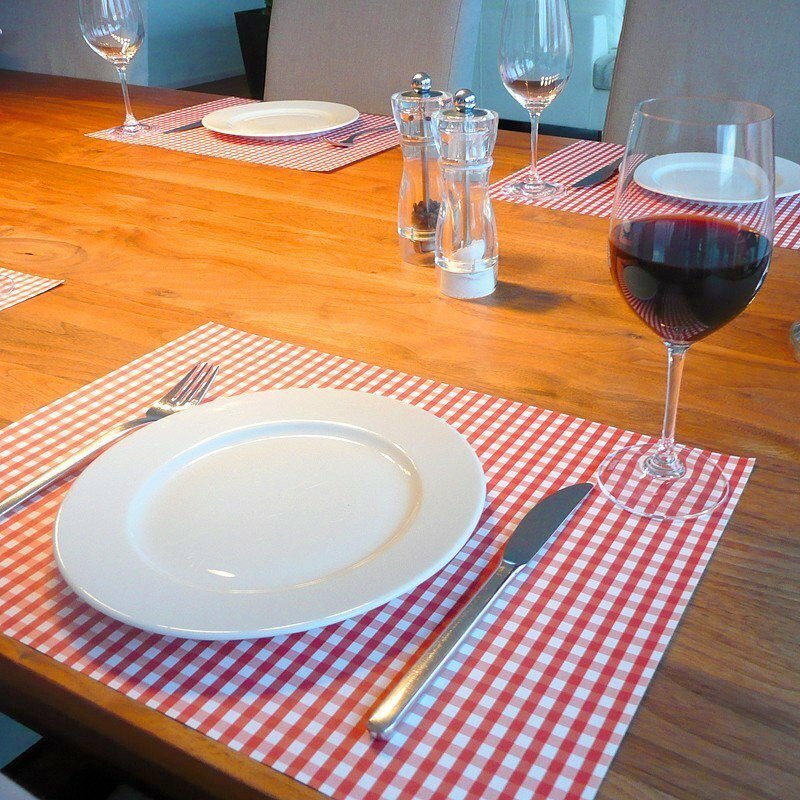 from time to time, you give large sit-down dinners for family reunions or friends, but you don't have a large enough tablecloth or enough matching placemats to do the job. you think that esthetic principles should be learned at an early age and that there is no good reason why a children's table shouldn't be as chic as anyone else's. Like a pad of paper, you simply tear off placemats one by one, until you run out. Given that there are 50 placemats in each tablet, there are more than enough for a reasonable number of elegant meals! Your paper placemats are to be used only once. That said, if they are clean, you can always reuse them. Throw them in the paper/cardboard recycling bin after use. For children as well as parents. 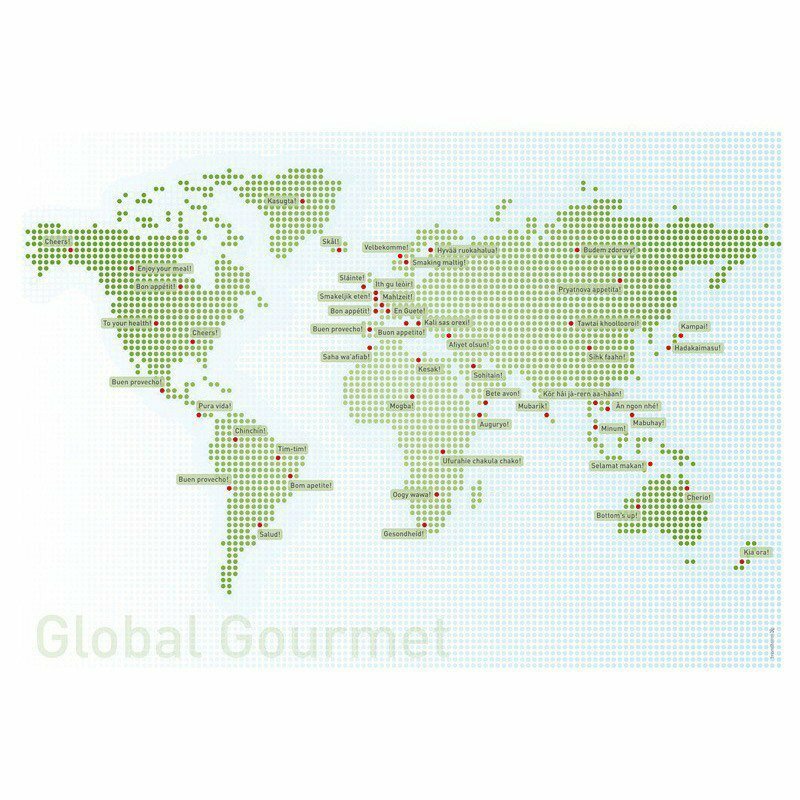 While brushing up on your geography, learn how to say "bon appétit" in every language. Children can have fun matching the translations to the correct country. As for adults, who, of course, know their geography perfectly, they can enjoy trying out the best way to say Mahlzeit ! Perfect for an international luncheon for your colleagues from around the world, or a reunion of your old Erasmus buddies! These red-and-white checks remind you of Parisian cafés, guinguettes on the Marne, or that little restaurant in the village you stayed in on your honeymoon. "Vichy Rouge," the red-and-white checked pattern on a bistro tablecloth is considered an integral piece of French patrimony. Never out of date—on the contrary, Vichy Rouge is currently coming back into style thanks to renewed interest in vintage goods and bistro fare. You'll fall for these Vichy placemats, tenderly regressive, a little trendy, and always bright and cheerful. What, exactly, is a Safari Midnight Orb? Interpret this enigmatic phrase as you will. 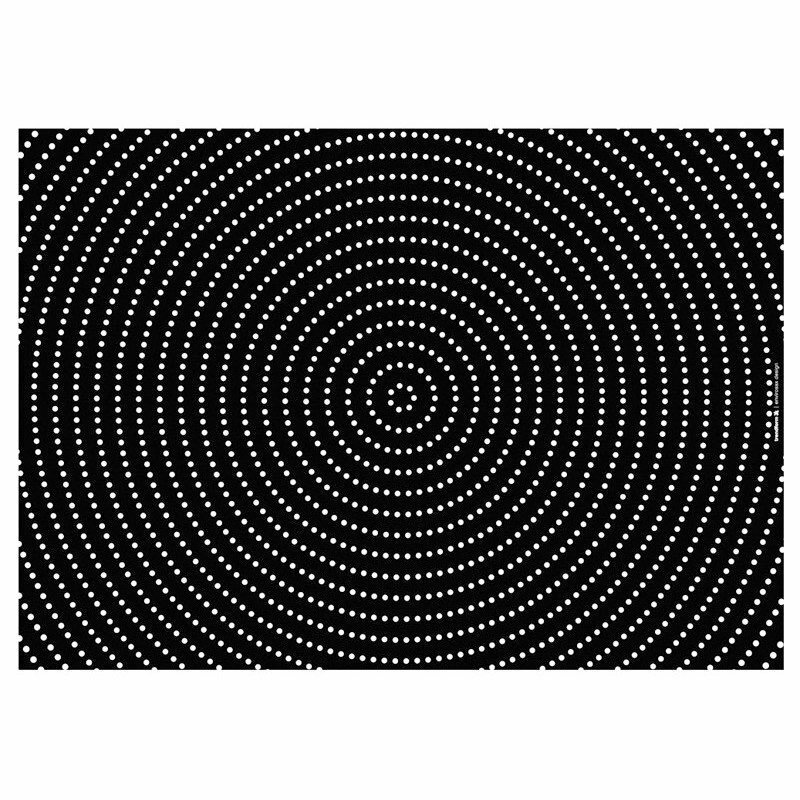 For us, this hypnotic pattern could possibly send your guests into orbit. A vaguely cosmic diner where anything can happen. 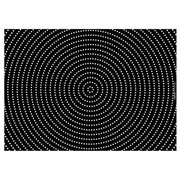 With their deep black background and carefully placed white dots, these psychedelic placemats give your table a designer look. Adult place settings for a style that is the opposite of Vichy Rouge. At LaPaDD, we don't really like to support the throw-away culture that has become a standard for consumers over the last three decades. That said, disposable products have one thing going for them: they contribute to the development of recycling and making people more recycling-conscious. So here is the exception that proves the rule: functional and practical disposables, that make life easier and don't pollute any more than putting a tablecloth in the washing machine or using bamboo placemats that come from China. practical - you don't need to wash them or iron them, just throw them in the paper rubbish bin. flexible - ideal for putting a little variety in your table setting, especially for those who entertain often. affordable - 30 euro cents per placemat—very reasonable, especially considering how pretty they are.